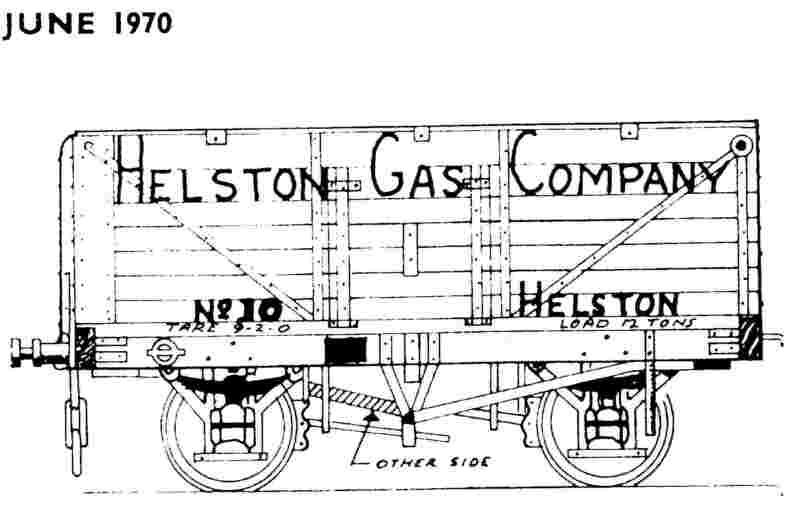 Helston & District Gas Company owned a total of five private owner wagons for bringing coal to Helston and on to the gasworks. The author of this website researched these wagons extensively and finally commissioned POWsides to produce transfers for 7 mm scale wagons. Keith Gowen then commissioned 3 mm scale versions from POWsides. The information obtained has been incorporated into a short document… View a pdf file containing the history of these wagons: HelstonGasCoWagons.pdf which was published in the Helston Railway Journal, No. 2, pp. 10-13, The Helston Railway Preservation Society, 2007 . On the left is the original drawing that appeared in Model Railway News articles by the late Peter Matthews in 1970. 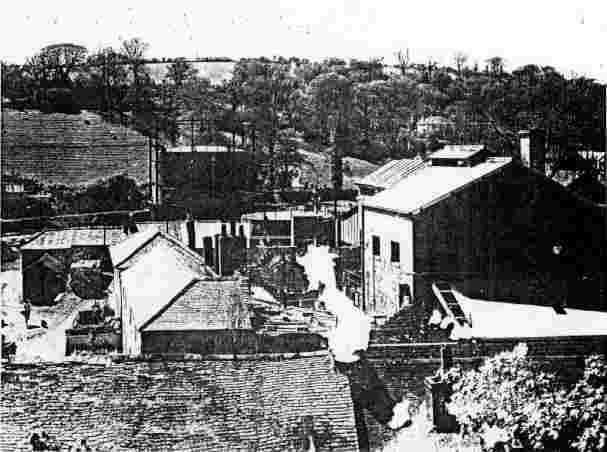 Helston Gasworks just after nationalisation. 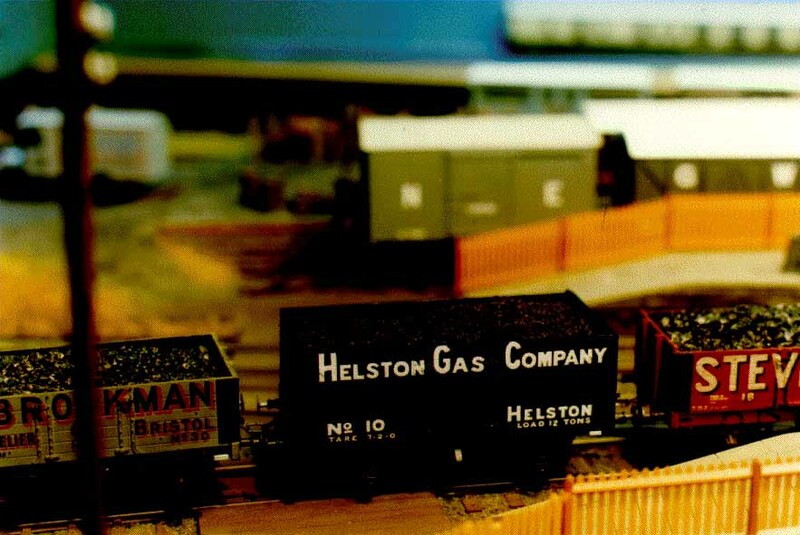 Photo courtesy of the South Western Gas Historical Society.